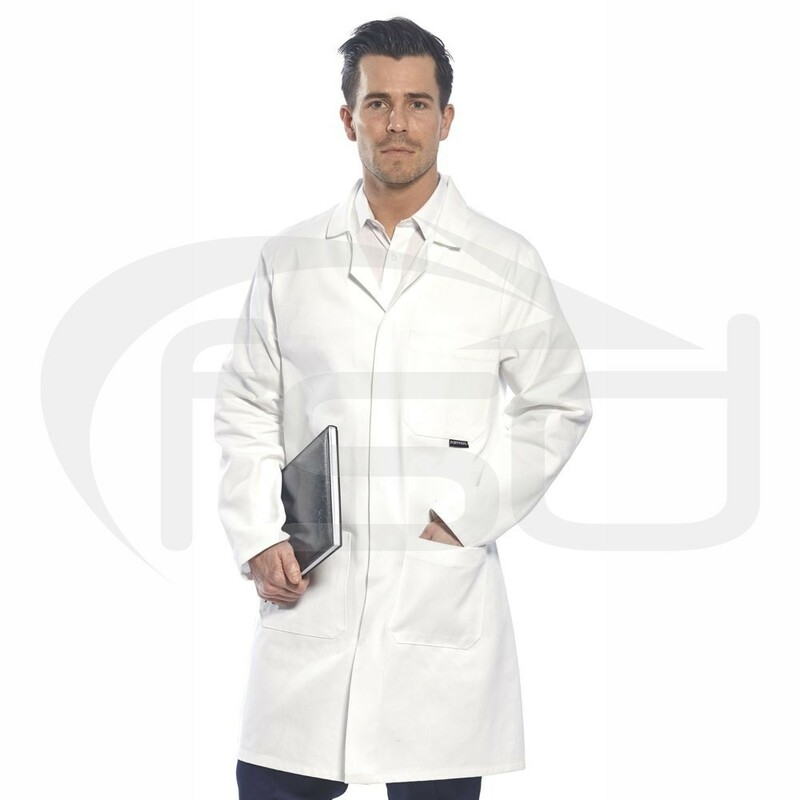 The Premium 305g Cotton fabric in this coat is constructed using special long staple fibres which create a strong but soft material with excellent pilling resistance. Features of this popular style include, a concealed stud front, two lower patch pockets and one chest pocket. 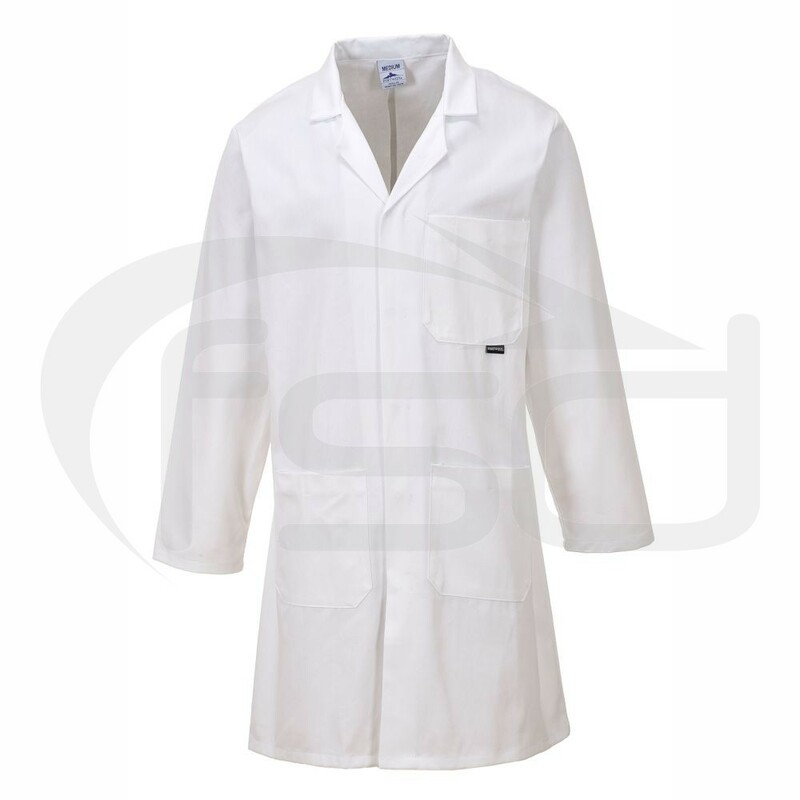 Made from 100% cotton,this superb garment is durable and comfortable,meeting all your working requirements. Moisture is absorbed quickly which allows the wearer to feel cooler, drier and more comfortable. The fabric is fully pre-shrunk and has excellent dye retention properties. Concealed stud front for easy access.